Near to where Oxfordshire meets Berkshire and Buckinghamshire, Henley-on-Thames is the unassuming British home of one of the most physically demanding and dramatic sports – rowing. Surrounded in stunning natural beauty, and the serenity of an ancient market town rowers from across the globe flock to compete on the famous Thames course. The 1 mile, 550 yard stretch of the River Thames that runs through Henley-on-Thames is one of the most famous rowing courses in the world. It plays host to the Henley Women's Regatta, Henley Masters Regatta, Henley Town and Visitors' Regatta and of course the Henley Royal Regatta. With superb rowing hospitality options available we are guaranteed to have the right one for you and your VIP clients and guests. 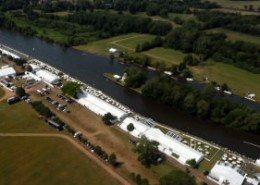 Keep up to date with all the latest Henley Royal Regatta news and updates. Follow for exciting blogs and breaking stories from across the world of rowing. 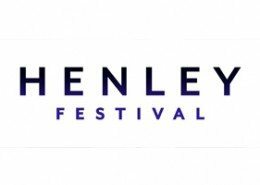 Wed 10th - Sun 14th July 2019 Enjoy outstanding hospitality and world-class music at the Henley Festival 2019. This fantastic event on the River Thames regularly plays host to some of the world's biggest musicians with the likes of Elton John and Elvis Costello have made appearances in previous years. Henley Festival is one of the most exciting events for your summer calendar as it combines black ties and high heels with the thrilling atmosphere of British music festivals. Stay up to date with the latest news and announcements for the festival with Eventmasters! The earliest recordings of Henley-on-Thames come from the twelfth century, with royal records marking purchases of land, with the town being under the ownership of the Crown. The famous Henley Bridge has existed in various forms since the thirteenth century, and the one seen today was constructed in 1786, although significant repairs were carried out in 2010.
Henley Bridge is a Grade I listed building, indicating that it is ancient and the upkeep and maintenance of it is of significant interest. The current bridge was built to replace a timber one in the late eighteenth century, however, there remains even more ancient stonework which indicates another bridge had once existed in the town. Historians debate as to whether this original bridge at Henley-on-Thames was crossed by Romans while invading this area of Britain. Some are certain that it is, but many refute this claim. The market in Henley has existed since the mid-thirteenth century. King Henry VI granted the market by charter as legal permission was required in those days to hold a market. Henley is the setting for two major events each summer – the Henley Royal Regatta, and the Henley Festival. The Royal Regatta is one of the most iconic meetings both in British sport and in global rowing. It brings hundreds of thousands to the town each year, from across the globe. Olympians line up on the same track as school teams and compete in the most quintessentially British location. 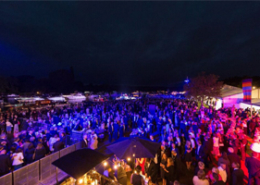 Henley Festival is also a five-day event, featuring a mixture of music, art and comedy in and around the town. Each year it attracts many to the town. Henley-on-Thames is overlooked by breath-taking Chiltern woodland. The gorgeous countryside is full of wildlife and is alive all year round with the peaceful tunes of birds nesting in the picture-perfect beech woodland. The Chilterns is a protected Area of Outstanding Natural Beauty, and guests to the town often are enamoured with the unspeakable natural beauty of the area. Due to this incredible local beauty and the serene town, Henley-on-Thames was named the second most expensive market town in the country by Lloyds Bank, by average house price. In sports, Henley is best known for rowing. It is the home of the Henley Royal Regatta – an annual five-day festival of both sporting prowess and all things British. Aside from rowing, Henley also is home to the Henley Hawks rugby union club. Henley is also home to Henley Cricket Club and Henley Hockey Club. The town’s football club, Henley Town F.C. is the oldest recognised by the Oxfordshire FA, having been founded in 1871. Many guests opt to attend Henley Royal Regatta as VIPs with luxury hospitality packages. Henley-on-Thames hospitality facilities treat guests to the finest experiences. We offer four different hospitality packages for the Henley regatta: the Boaters Enclosure, Fawley Meadows, Temple Island Enclosure and the Riverside Enclosure.